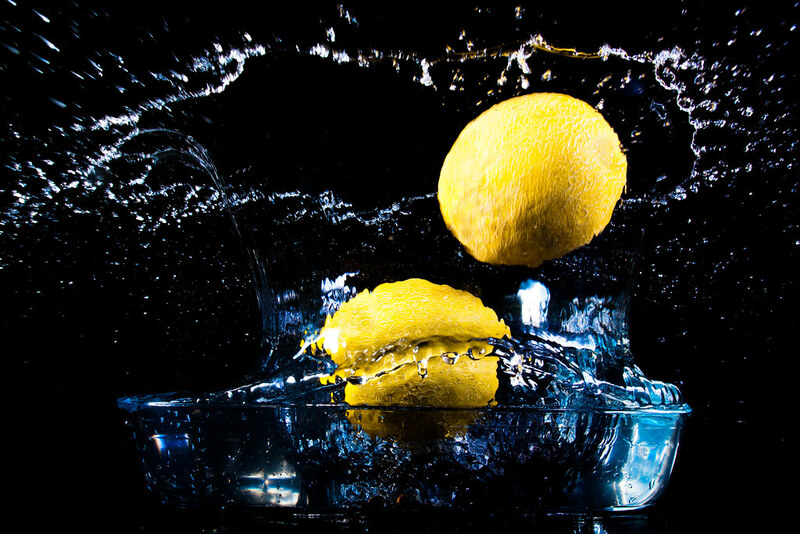 Regular blog readers will be aware that I am taking part in a 52 challenge and that in weeks 12 and 13 I caused a bit of a splash with my photos of first two strawberries and then a lemon being dropped into pools of liquid. Over on flickr some wags pointed out that the fruit I was dropping in the liquid seemed to be getting bigger with each splash photo. In fact my friend Dave said “hope you’re not going to get bigger and bigger…a melon might not be such a good idea !!! !” I took that as a challenge! 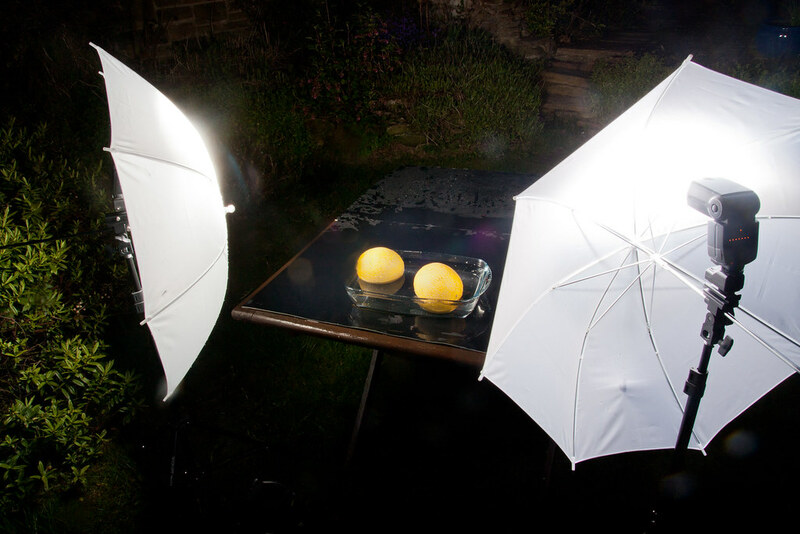 So last night I set up a studio in my garden and caused mayhem with some melons. Although I was keen to give a water melon a try I was conscious of Dave’s wise words so I bought some galia melons as well just in case the water melon caused too much destruction! 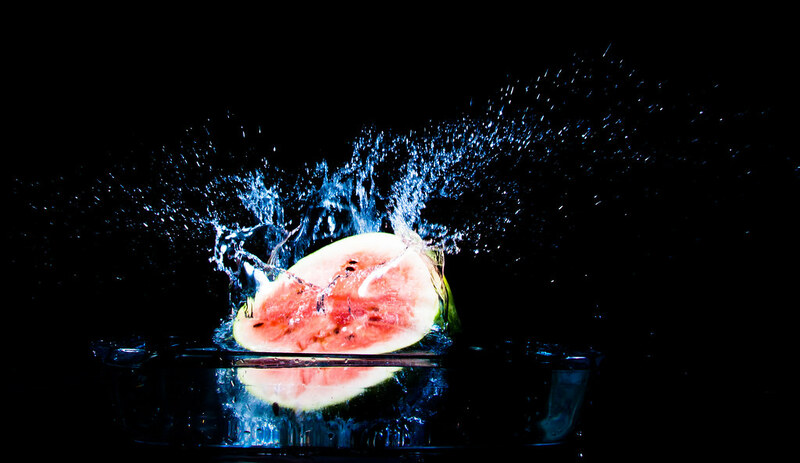 As you can see above the water melon made a serious splash when I dropped it into a glass roasting dish full of water! Unfortunately the melon split open on impact so that was the only photo I could take with the whole melon. I didn’t quite get the lighting right with the melon and it was a bit darker than I liked, so in an ideal world I would have taken a second shot. As the water melon had split open I cut it in half and dropped the halves of water melon next with varying degrees of success. 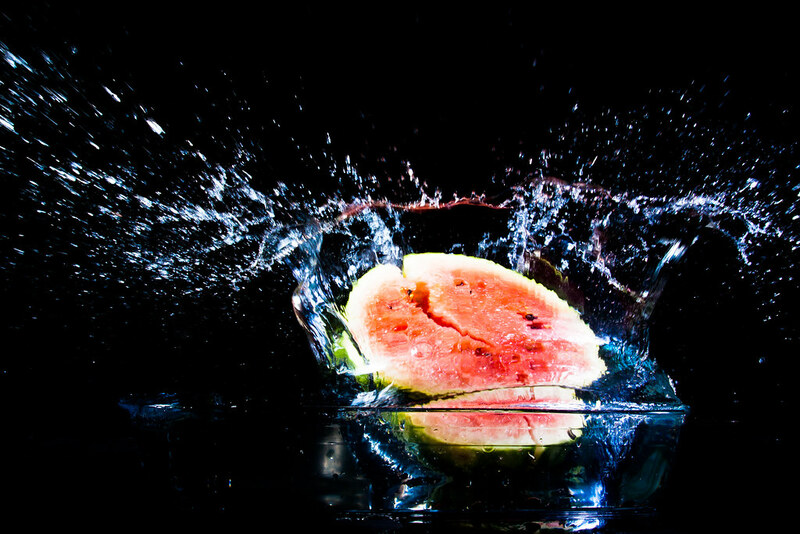 I wanted the melon to drop in the water with cut side flat facing the camera and I didn’t manage it; the melon kept slipping out of my hands and entered the water at an angle each time. As you can see in the last one, the halves of melon didn’t survive many impacts before they started to split. So I next moved onto the galia melons. And here I achieved what I think is the perfect shot, first time. 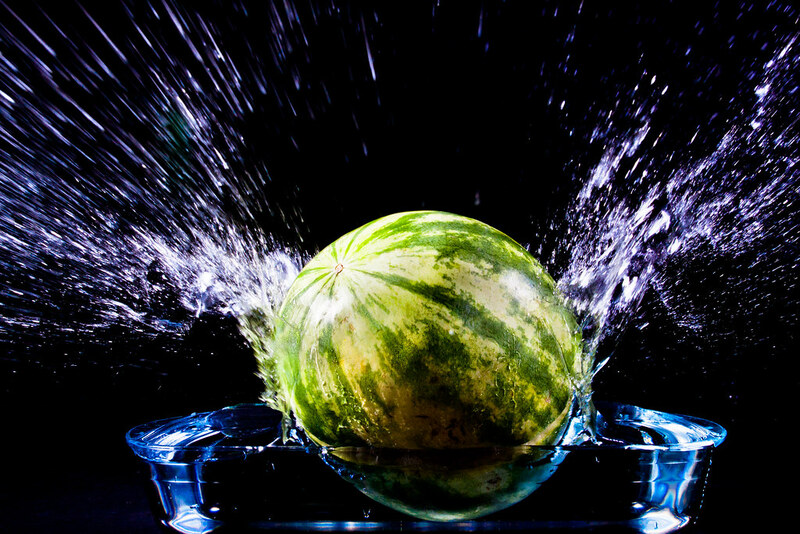 I dropped two melons, one after another, into the water and managed to capture both the impact of the first melon, a water “crown” splash caused by the first melon and have the second melon cutting through the crown splash. Not only was I pleased with this but I noticed in Lightroom afterwards that the second melon was positioned in the frame on the intersection of the thirds lines so couldn’t have been more perfectly placed in the frame. So this last photo will become the Week 18 photo in my 52 challenge and will be submitted to the View 52 group to join the 17 other photos I’ve taken in the challenge so far. Below is the now obligatory setup shot. You can see I set up the shot in my garden so that the splashes wouldn’t cause any problems as they would if i set up in my kitchen. I set a glass roasting dish that I bought from Tesco yesterday for £7 placed on some black poster boards on my garden table. I lit the scene using my Canon 430EX II fired into a white umbrella at full power and 24 mm zoom on the left of the table and my YN 560 at 1/2 power and 28 mm zoom fired into an umbrella to the right. The flashes were triggered by my wireless PT-04 triggers. 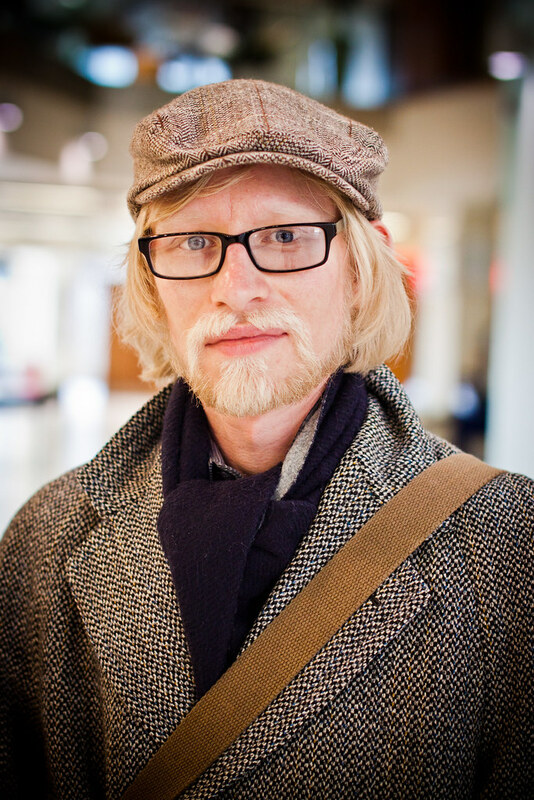 I am conscious that I didn’t blog about my week 16 and 17 submissions and so here they are. 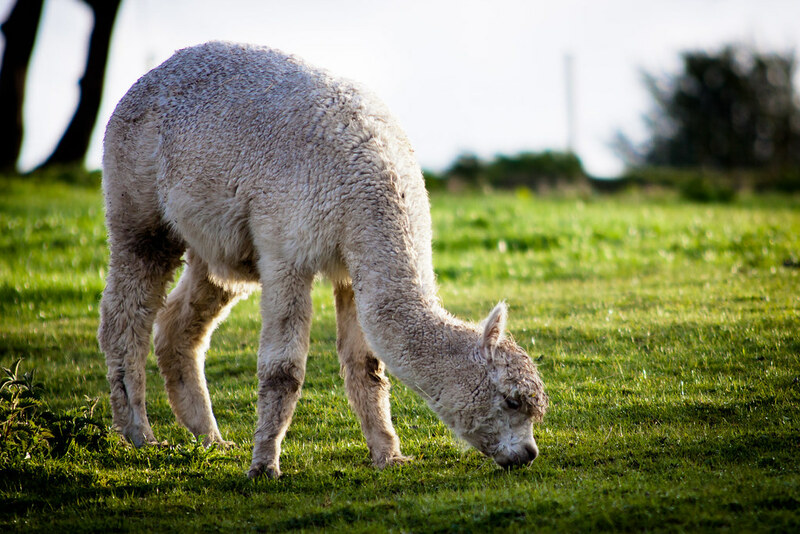 The first is of a stranger portrait of a dapper young student taken in the University of Sheffield Students Union; the second is of an alpaca cria (aka baby) taken at the alpaca farm in Grenoside. OMG you actually did it!!! I was only joking! i really love what you have done with these melon photos. they look very professional.